RAAAAAAAA! Boo! 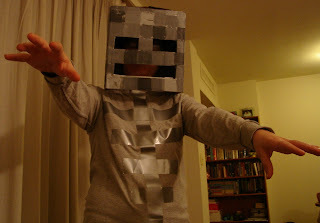 For Halloween 2010, I was a Minecraft skeleton! Madison was Steve, which is the unofficial name for the default player skin. 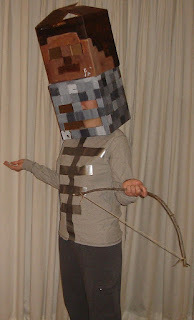 Minecraft is an amazing computer game that is kind of a combination of Legos and exploring - you literally mine things and then craft things in a randomly generated world. At some point I will post pictures of the various things I have built in Minecraft, because I've been playing for over two years now and my world is pretty extensive. But on to the costumes! 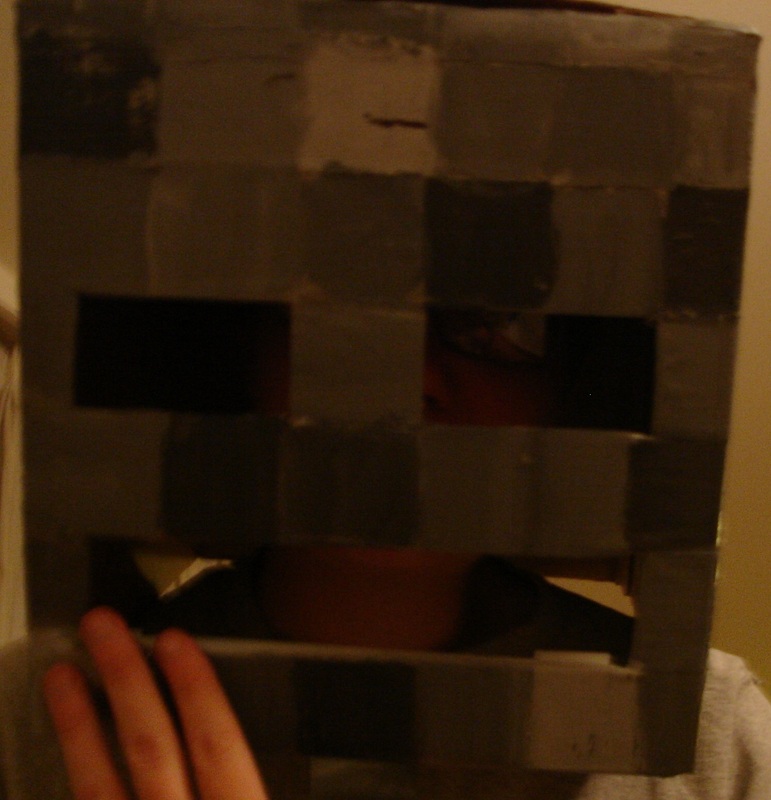 They were really easy to make - just some cardboard, duct tape, string, and a stick. GRRR! Wait, no - this is what a zombie does, not a skeleton! 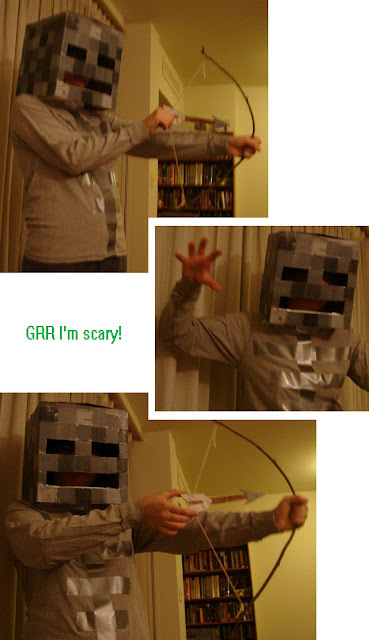 Skeletons are archers! What the who now? What am I??!!? !